ANTICORROSION Il y a 34 produits. 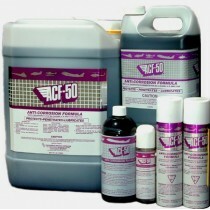 ACF-50, Anti-Corrosion Formula, is a state of the art, anti-corrosion/lubricant compound that has been specifically designed for the Aerospace Industry. 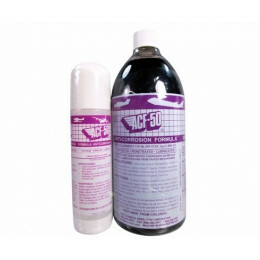 ACF-50 can be described as an ultra thin fluid film compound that must be applied on an annual basis. ACF-50 actively penetrates through the corrosion deposits to the base of the cell where it emulsifies and encapsulates the electrolyte, lifting it away from the metal surface. ACF-50 then dispels this moisture and provides an atmospheric barrier, which prevents any further moisture contact, thereby keeping the cell inactive. 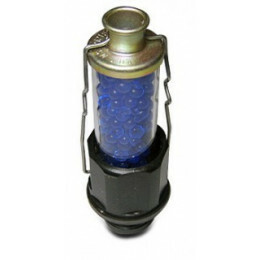 This compound continues to actively penetrate and “creep” into the tightest of seams, lap joints, micro cracks and around rivet heads, dissipating the moisture, even salt water, in these corrosion prone areas. These unique abilities of ACF-50 remain effective for 12 months, gradually disappearing as it is chemically consumed. 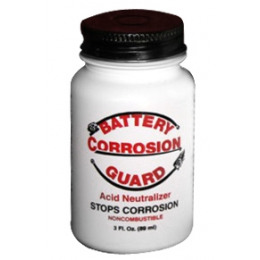 Being ‘Pro Active’ about corrosion control is the best way to protect your investment. 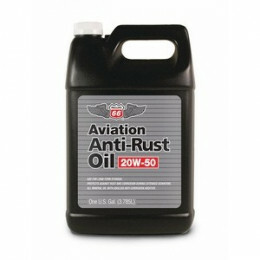 Regular ACF-50 treatments reduce maintenance costs and improve overall flight safety. The application methods and specially designed equipment, deliver ACF-50’s penetrating fog to all critical aircraft structure. 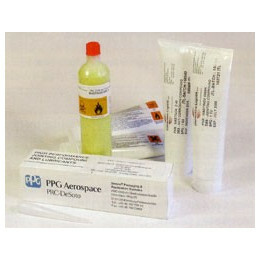 Only ACF-50’s advanced corrosion control properties protect both airframe and avionics systems. 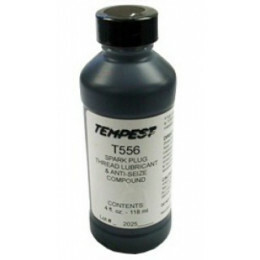 Spray into: floats, fuselage, vertical & horizontal stabilizers, wing sections, bilge area, exterior of motors, connectors, cannon plugs, avionics, micro switches, antenna mounts. 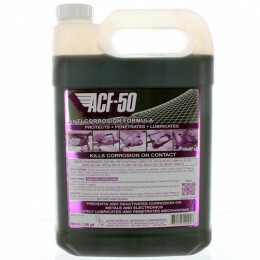 ACF-50 is a light carrier with a proprietary package of additives that transform it into an astonishing creeping-fluid AND an outstanding de-watering fluid too. These properties mean that just the smallest amount will get into every crevice, every blemish of corrosion, and utterly remove the water. No water means no corrosion, period. And that’s just the start of it. ACF-50 stays in place for up to two years, actively spreading, sacrificing itself to keep corrosion at bay. MIL SPEC 81309 Type II and III Approvals which means ACF-50 is approved for ferrous and nonferrous metals, electrical systems and electronic components. 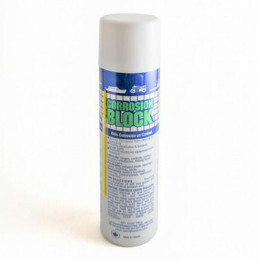 Chemically Neutralises corrosive environmental effects, including de-ice spray. 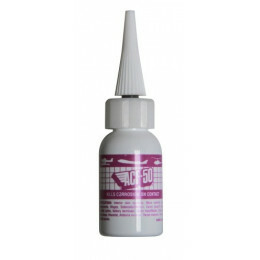 Easily Applied non-drying, ultra-thin, clear film. 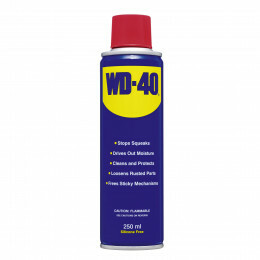 Contains no Water, Silicon, Teflon or wax, no sticky build up, no risk of existing corrosion being sealed in and no risk of water remaining where it will cause corrosion and damage, even on electrics. ‘Active’ which means that it ‘creeps’ and ‘keeps on working’. 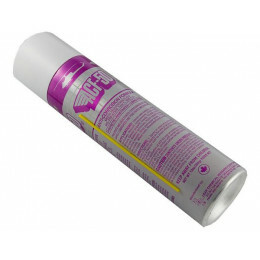 Doesn’t Need Re-Applying – ACF-50 will last up to 24 months, flight after flight. Economical- 95% Product – a little goes a long way – lasts ages. 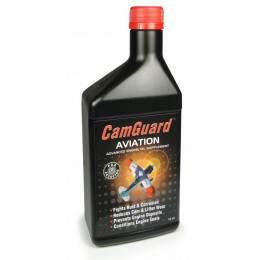 Safe to Use Anywhere on the Aircraft, Fixed or Rotary, ideally misted into voids or applied directly into electrical joints and components where it will prevent corrosion induced failures. Maintains the Aesthetic of the aircraft. All Year Round Service Spray. As Close to Zero Corrosion as Nature Will Allow!